NOBODY’S LONESOME WITH MAN’S BEST FRIEND. Rick Pendergast is a cop turned attorney turned writer. 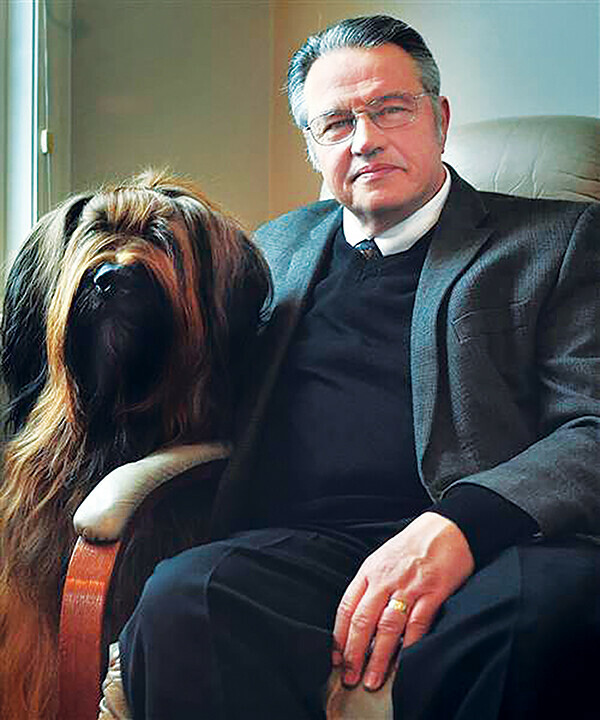 Rick Pendergast – a lifelong resident of Eau Claire, a former Eau Claire Police Department officer, and a current local attorney – recently published his first novel, Stoney Lonesome Road. The novel (named after an actual road in Boyd) is a mystery based right here in western Wisconsin and was inspired in part by an event that actually took place in Eau Claire while Pendergast was working as police officer. The novel focuses on a police officer, Jack Delaney, who saves the life of petty thug Doyle Howard and comes to regret it. Delaney spends the novel trying to solve a murder mystery that leads him to partner with and fall for a woman. Pendergast said he sees himself in the character of Jack Delaney – in how he does his job and how he feels about it. The subplot of the story is directly inspired by an incident that occurred while Pendergast served on the police force between 1978 and 1985. Pendergast said the entire novel is informed by his life experiences, including growing up on a farm in western Wisconsin and serving in the Air Force, as a local police officer, and later as an attorney. “A member of my family has lived in Eau Claire County since the Civil War,” Pendergast said. “My roots run deep in this area. Growing up on the farm, I still feel the seasons in my bones. This is where my voice and sense of place comes from.” While none of the other characters are directly inspired by specific people, Pendergast did say they are all inspired by the essence of his family members or police officers in general. The title of the book and its setting are also locally inspired. Pendergast said that while this is his first published book, he has been writing his entire life and plans to continue writing. He reports writing Stoney Lonesome Road was a labor of love as well as the most satisfying experience of his life, resulting in a feeling of comfort and completeness for him. “Finishing this book at this time is a natural progression of my life. I feel as though everything I have done has led me to this moment,” Pendergast said. He hopes his readers enjoy the story and find pieces they can relate to. He plans to continue to practice law and to write for now, and then eventually to just write. Pendergast has already completed half of his next book, which he describes as “another cop book set against the backdrop of 1968” and, notably, also based in western Wisconsin. 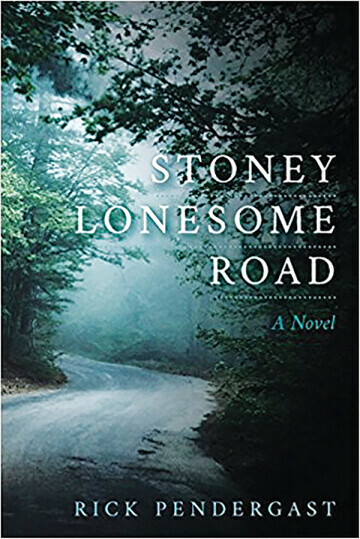 Stoney Lonesome Road is available for sale at the Local Store, and online at Amazon.com.